Snuggle Dryer sheets as low as $.50 after coupon! You are here: Home / printable coupons / Snuggle Dryer sheets as low as $.50 after coupon! 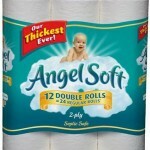 There is a new printable coupon for $.50 off Snuggle Dryer sheets. 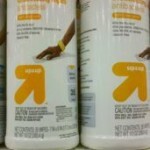 Some Dollar General stores have these priced at $1, which makes them just $.50 after coupon! 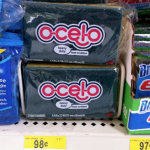 I’m almost out of dryer sheets, so I’m ready to stock up! 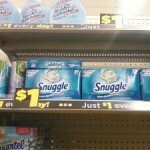 FREE Snuggle Dryer Sheets at Dollar General! 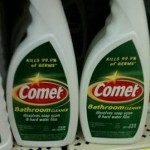 Comet Bathroom Spray Cleaner only $1 at Dollar General!